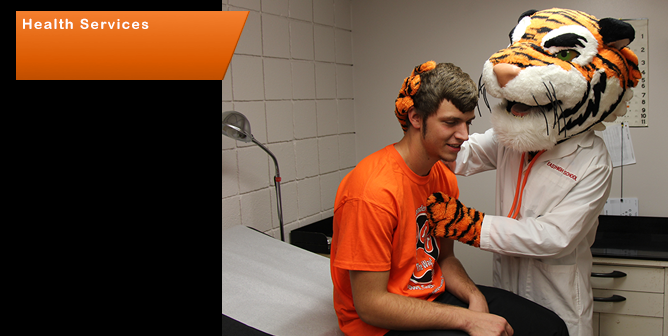 During the Fall and Spring Semesters, the Health Center provides health services and information to students, faculty, and staff members of Cowley College. The center is funded by the college operating budget, and most services are available free of charge. A nominal fee is charged for immunizations and lab work. Your visit is confidential and will not become part of your school record. Our door is open to you Monday through Friday 8:00 am to noon and 1:00 -3:00 pm at the main campus, Room 207, Storbeck Lobby. Click here to view Notice of Privacy Practices of Health Services. Emergency Care Treatment for minor illnesses and injuries including colds, upset stomach, headaches, cuts, ace wraps, ice bags, heating pads, etc.